Thank you so much for yet another successful dental implant. At Dental FX Glasgow we are proud to provide every patient with all the information they may need to make an informed choice about their treatment. We know that every patient’s treatment journey will be as unique as they are, but strive to provide the highest standards of care to every patient at every appointment, no matter why you have come to see us. If your dentist finds you need further treatment at your initial check up, they will carefully explain all the treatment options available to you. Only when you have decided, in conjunction with your dentist, on the best course of treatment to suit your personal wants and needs will we present you with a treatment plan. Your treatment plan will carefully explain each step of treatment, including the projected number of appointments and associated costs. We will create two copies of your treatment plan. One is for you to keep for reference and the other one is to be retained by the Practice. You will need to sign both copies. We will also explain our practice payment plan options to you. These are designed to help you spread the cost of any treatment that costs more than £350, because we believe that price should never be a barrier to patients getting the treatment they need and the smile they deserve. Your appointments will be arranged at the most convenient time for you whenever possible. If you have been referred to Dental FX by your dentist for dental implants, leading implantologist Dr Stephen Jacobs will see you for an initial implant consultation. 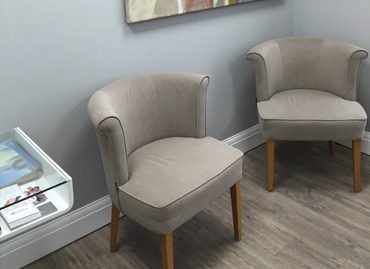 At the end of this consultation, Dr Jacobs will send you out a treatment plan; you need to sign both copies and send one back to the practice – your treatment cannot go ahead without it. If you lose your plan, we can print you out another copy when you come in for your implant treatment.